Gary Sharpe (BA, geography, 1970) will tell you just about anywhere. After all, his multimillion-dollar enterprise Health Care Logistics got its start in a spare bedroom in 1978. 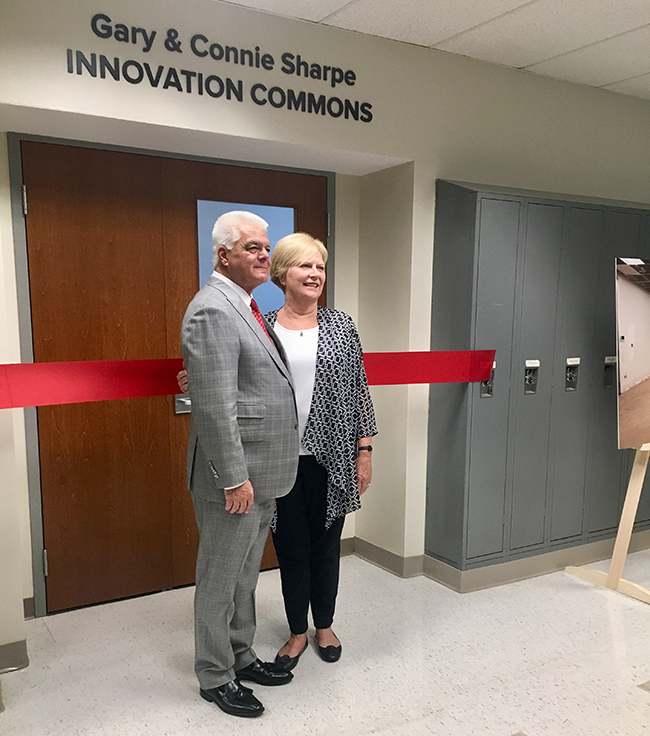 But Gary and his wife, Connie Sharpe (BS, nursing, 1969), wanted to foster a space at Ohio State where new ideas could not only blossom, but thrive — where students could engage with new technology and cross-disciplinary partnerships could form. 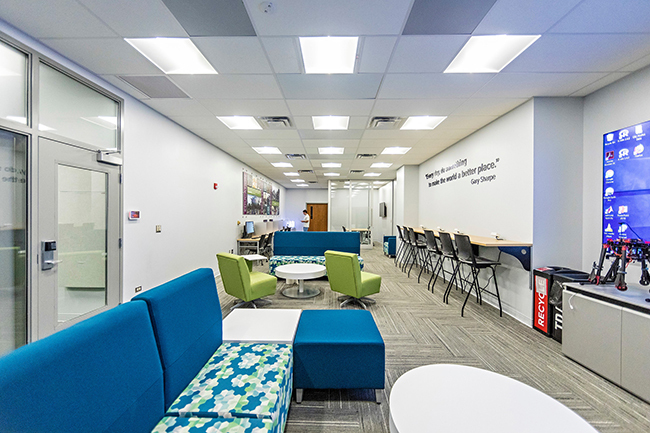 So in 2016, the Sharpes made a generous gift to the Department of Geography, marking the beginning of the department’s journey to bring hands-on learning and critical thinking to students through the Gary and Connie Sharpe Geography Innovation Commons, which opened Sept. 20 in Derby Hall. 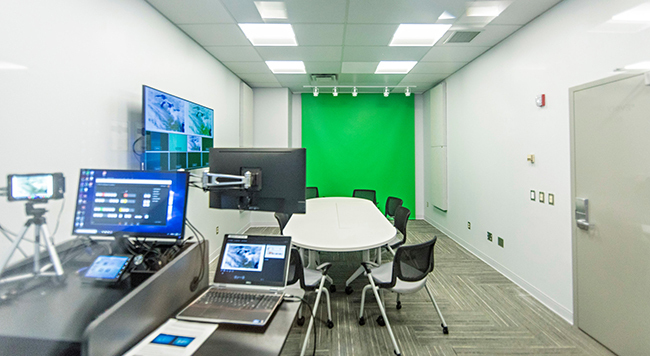 The multipurpose room includes state-of-the-art technology for broadcast recording, two 3D printers, breakout space for collaboration and integrated equipment to engage with colleagues across universities. The Gary and Connie Sharpe Geography Innovation Commons. Images courtesy James DeCamp. The ceremony also included a welcome from Darla Munroe, professor and chair of the Department of Geography, and presentations from geography doctoral student Forrest Schoessow and undergraduate student James White, who both received seed grants from the Sharpes for their research. Forget about the box — get out of the box; smash it. Think different. Keep going,” he added. In 2010, the Gary L. Sharpe Scholarship for Outstanding Undergraduates was established with funds from the Gary L. Sharpe Scholarship Fund in Geography. The scholarship program provides support to undergraduate geography students who excel academically and/or professionally, with preference given to students from Ohio who demonstrate financial need.